Ladies smelling way too sweet. What parent hasn't experienced a toddler's meltdown while shopping past their ability to endure? Little Llama is not at all interested in bargains even if it means new shoes, socks and Cream of Wheat for him. It's Saturday and he wants to play! 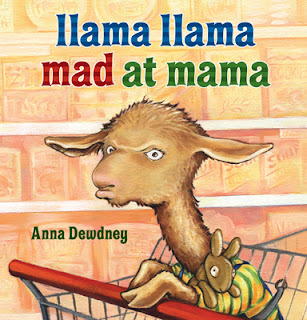 In her second Little Llama adventure, author/Illustrator Anna Dewdney, recounts a common family situation. Her wonderfully expressive illustrations leave us in no doubt that Little Llama's temperature is rising and we're about to experience a major Llama Drama event. Just like its predecessor Llama, Llama, Red Pajama, the rhyming verses are fun to read aloud. 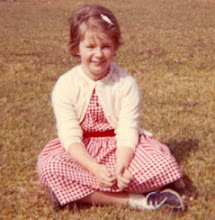 She colors occasional words in the text to emphasize to both children and adults that these are the words to be emphasized in the stanza. Not every parent will handle the public meltdown as well as Mama Llama, but this story is a gentle reminder to adults to set reasonable limits on what they can accomplish with a little one in tow. Little Llama and his Mama are two of the most charming characters of the last few years. Here's hoping that the next Llama adventure is just around the corner.